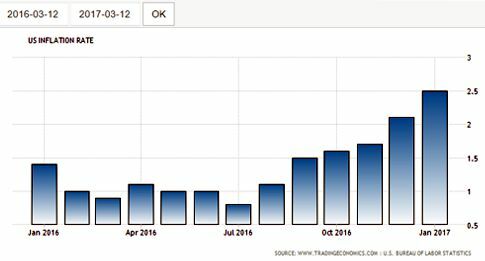 Is Janet Yellen Bluffing on the March 15th, 2017 - Rate Hike? Near the end of last week’s post, I stated that I thought that all the calls for rate hikes by Federal Reserve officials sounded like a bluff. After the review of past rate hikes, I think I may have been wrong. Since the Federal Reserve ended its last round of Quantitative Easing on October 29th of 2014, we’ve had only two rate hikes of 0.25% each. In the past, every time I doubted a rate hike I would read an article about a Fed official talking about raising rates, then, within a day or two, I’d read an article about another Fed Official saying the opposite. There have been only two times, that I can recall, when most or all of the talk coming from Fed Officials has been totally for rate hikes, before a Federal Reserve Meeting; those times were December 2015 and December 2016, before the Fed Raised rates. However, Bullard is a non-voting member of the FOMC, so his comments don't hold a lot of weight, plus his comments were made before the others gave their thoughts on the issue of a rate hike. Here are a few more reasons to expect a rate hike on Wednesday, March 15th, in every press conference that Janet Yellen has had, she's repeatedly stated that they will only raise rates if the data supports it. If the Fed doesn't raise rates on March 15th, it would be one of the biggest bluffs that Janet Yellen has made, and for those on Wall Street it would definitely hurt the Federal Reserve's credibility. But, this bluff isn't the one that I really want to bring to your attention. 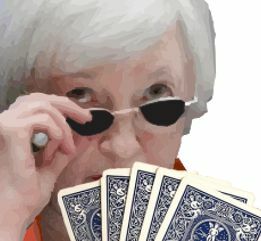 The Bluff that I want to bring to your attention is the Interest Rate Bluff that Janet Yellen is currently creating. 'Click here' for a timeline of each rate hike and reduction in the chart above. 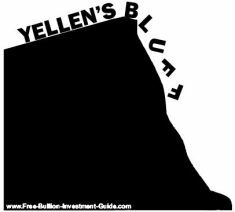 Although I think 'Yellen's Bluff' will be much smaller, you can certainly expect that it will look a lot like the ones that her Federal Reserve Chairman colleagues have made in the past. Because even though the market might look like 'OK' on the outside, there are critical markets within the broader market that are not doing so good. 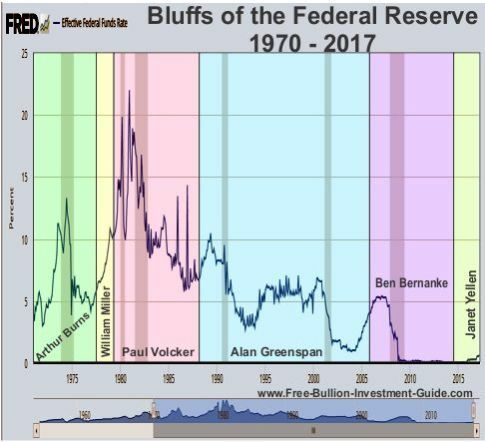 This post is an introduction to a several 'part' series of posts (over the next several weeks and months) that will be titled ‘Yellen’s Bluff,’ to give you some deeper insight into what could be the unforeseen market that makes her bluff fall. Most shale oil companies need oil to be at least $55 to $60 a barrel, for their business to be economically viable. From January 2015 – December 2016 there have been 114 bankruptcies among the oil industry, totaling about $75 billion in debt. Does the Oil Industry look good to you? Because it doesn't to me. I will post the Oil Industry part of 'Yellen’s Bluff' in the next week or two. This week, I’m only going to review of last week’s charts because this week technical analysis isn’t going to help much, it all depends on what the Federal Reserve does as to which way gold and silver will go. In last week’s post, gold fell below the upper trend-line of its Falling Expanding Wedge, destroying the bullish pattern. 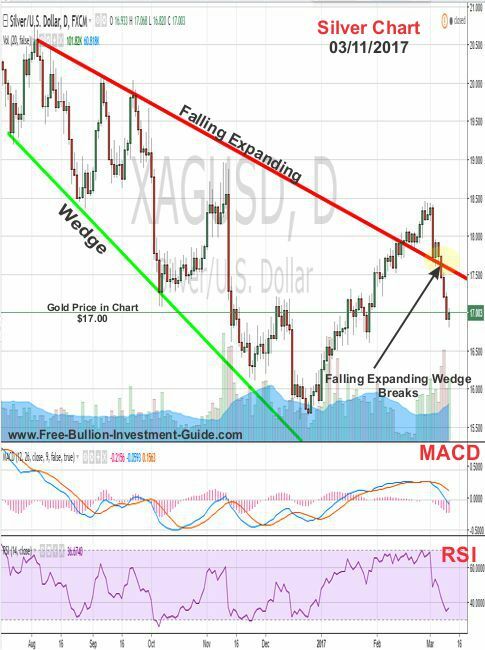 This week look for gold to hold above these Support Levels at $1200 & $1180. 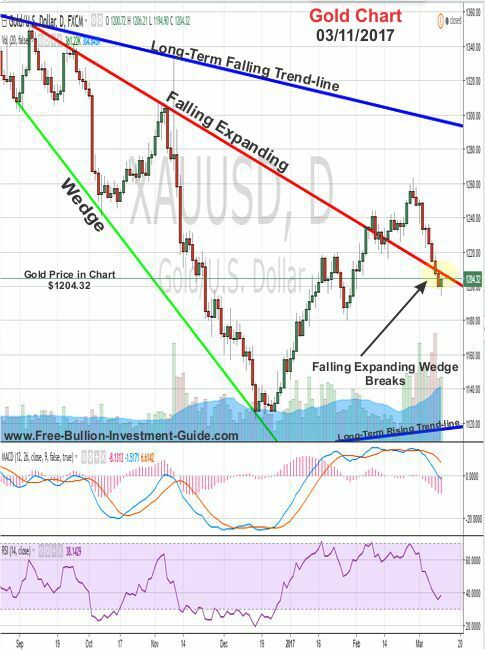 Like gold, silver broke through its expanding falling wedge last week too, and like gold, we will need to look to the Fed this week to get an idea of which way the precious metal will move. Support Levels for silver $17.00, $16.75, and $15.70. Next week I intend to post these Charts: Gold, Silver, Platinum, Palladium and the US Dollar. (Great Artist, Cool Song & Video) Enjoy!